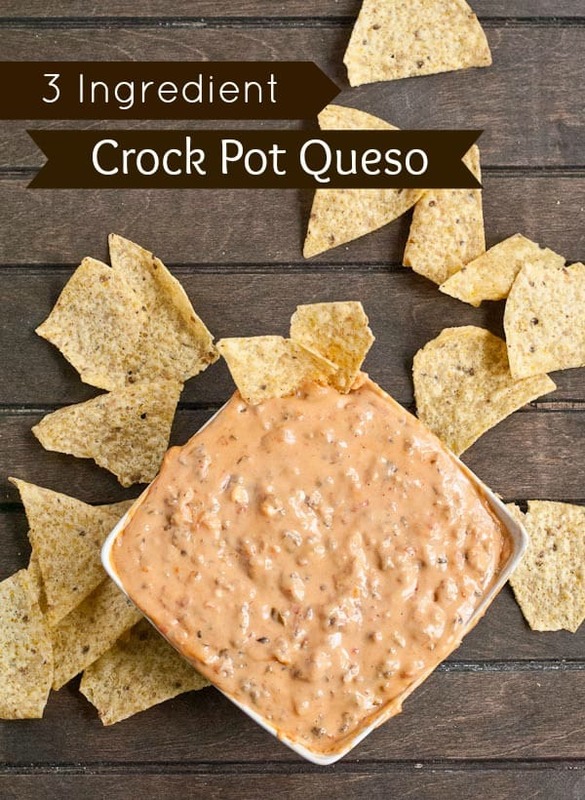 Just three ingredients is all you need to make this dreamy Slow Cooker Queso. Today you’re going to learn things about me I should probably be embarrassed to admit. Like the fact that I threw a block of processed cheese, a jar of salsa, and a pound of sausage in the crock pot then proceeded to eat queso for lunch. I thought about throwing some cilantro sprigs on this just to add a pop of green, but then decided it was a bit disingenuous. Nobody’s eating anything green when this queso is around. Heck, you’re lucky if you can keep your composure long enough to grab a chip and not be caught eating it right out of the slow cooker with a spoon. My family has been making this dip for as long as I can remember. It’s appeared at birthday parties, Super Bowl shindigs, and graduations. 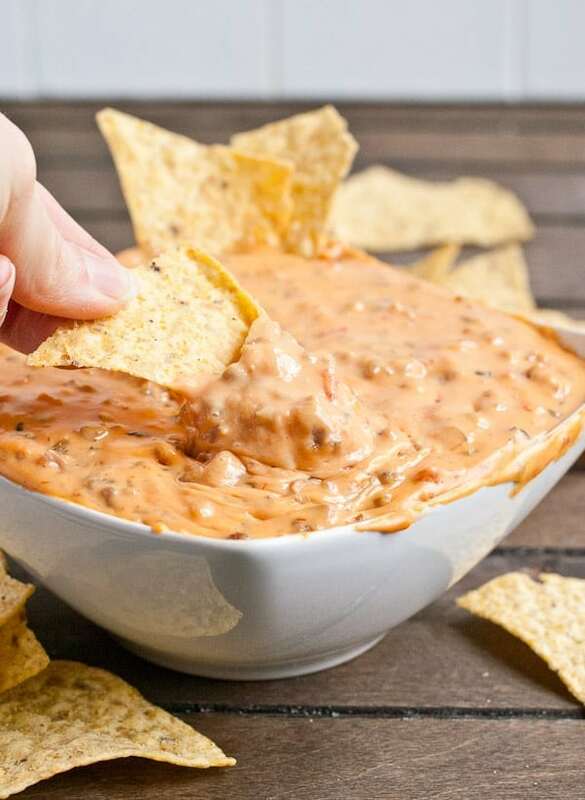 If we’re having a party, this queso is likely the guest of honor. I know the traditional velveeta dip calls for a can of diced tomatoes with green chilies, but we’ve always used salsa instead. The salsa adds a little bit of onion and pepper, and also gives you greater control over the heat and flavor. Like it spicy? Buy the hot stuff! Like a little garlic or chipotle? Pick out a salsa that matches your tastes. I’d like to think my palate has matured some since my teenage years. After all, I now eat brussels sprouts and brie cheese without complaint. But no matter how sophisticated I think I’ve become, this queso reminds me that way down deep, I’m still just a girl who loves processed cheese. Put me within a five foot radius of the stuff, and my self control is out the window. This is liquid gold, my friends. Creamy, cheesy, spicy, savory liquid gold. With the Super Bowl coming up, it’s the perfect excuse to indulge your inner teenager. 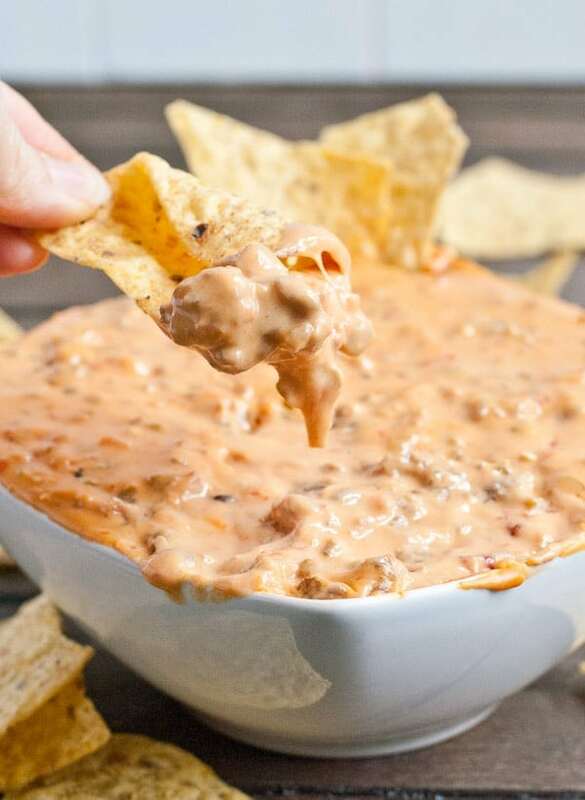 Grab some chips and a friend or two and cozy up to this Crock Pot Queso Dip. You’re not going to want to leave a drop behind. Cube the velveeta cheese and add it to a crock pot. Pour the salsa over top. Cook on low for 1 hour. Meanwhile, cook the sausage in a skillet, breaking it into small pieces with your spatula. Stir the cheese and salsa mixture, then add the sausage, stirring to combine. Cook for another hour, or until cheese is melted and smooth. Serve warm. 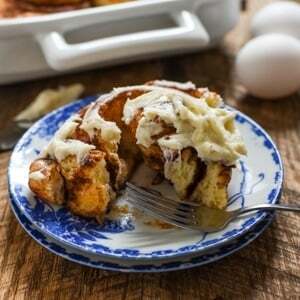 Looking for more Slow Cooker Recipes for Game Day? Check these out! I’d like to think I would turn my nose up at this but I know the truth, when this bowl is placed in front of me I’ll be digging in with the rest of you! One of my absolute favorites! 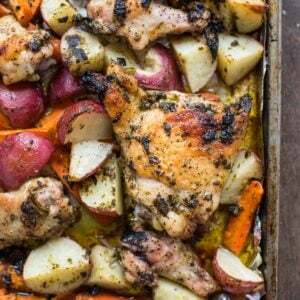 And I really want to eat this for dinner tonight. That’s okay, right? Totally. I would if it wasn’t already gone! I would eat this with a spoon straight out of the slow cooker and totally not care if I’m caught.